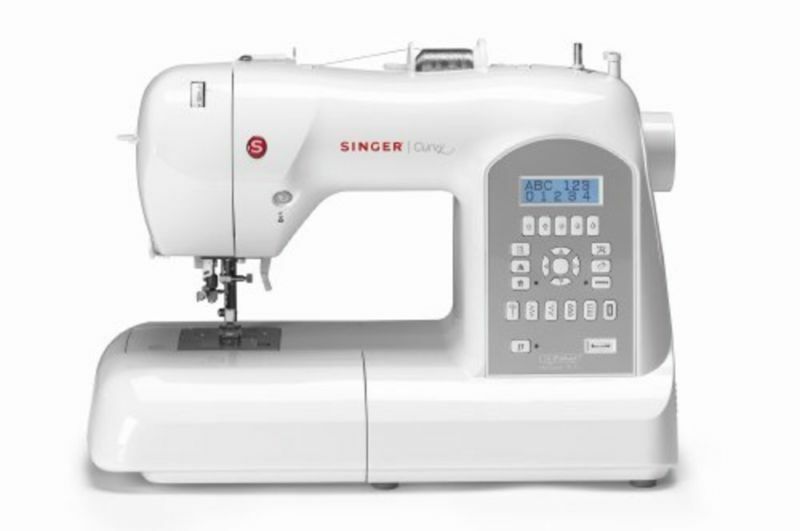 3 Is Singer Curvy 8770 Sewing Machine the Best Choice for Beginners? 4 How Much Should You Pay for the Singer Curvy 8770? 5 Want to read more about the Singer 8770? 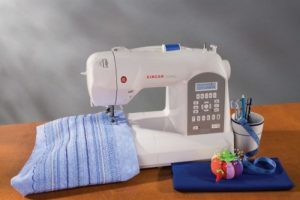 is a convenient, easy-to-use and affordable machine for home sewing, quilting, and embroidering. It’s not a heavy duty or industrial model, by any means. But I’m counting it as a “serious sewing machine” because it provides some new features that help people with low eyesight and other physical issues. Although you might not find this model in your local fabric store, at least you won’t have to search a website or mail order accessories like bobbins, needles, and sewing thread. That’s the beauty of Singer brand sewing machines and sergers, they are fine using common supplies found at your local sewing shop. Plus, you can get things like portable cases as a gift later on. Two awesome features set this model apart for home sewers. What makes this model special is the revolutionary threading system. If you hate threading up, down, and through all the little holes on a regular machine, you’ll love the simplicity of the SwiftSmart ™ threading system and one-touch needle threader (also available on the 8763 model.) It’s ideal for seniors and sewers with less than optimal eyesight. 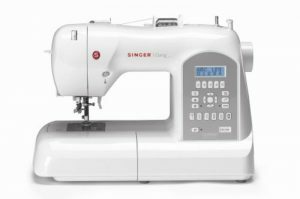 Is Singer Curvy 8770 Sewing Machine the Best Choice for Beginners? Yes. Keep reading to find out why. The new Drop and Sew bobbin system comes with a specially designed thread track and new needle plate, there is no longer a need to manually raise the bobbin thread. Some serious sewers don’t really care about the color or style of their machines, but sometimes it’s nice when your beautifully decorated studio has pretty machines to match. It’s amazing how many online comments for this item and related categories include references to the new curvy profile and contemporary colors. Sometimes people buying online come across a sale page and are happy to save a little money, but have concerns about machines run by computers. Fortunately reviews and information are easy to find. PDF manuals and video tutorial downloads give instructions, increase user confidence and provide loads of inspiration. And a 2017 blog post might give you details on a pattern created back in 2015 or 2016. How Much Should You Pay for the Singer Curvy 8770? Want to see it in action? Click below to watch a demo Video. Want to read more about the Singer 8770?